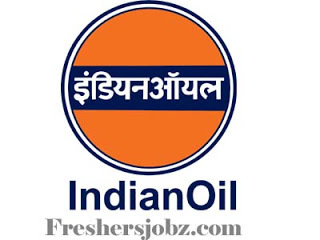 IOCL Recruitment 2018.Indian Oil IOCL has released a notification for the recruitment of Trade Apprentice and Technician Apprentice vacancies.Check the eligiblity and notification prior to apply for the positions. As prescribed under the Apprentices Act, the Apprentices shall be paid consolidated stipend of an amount equivalent to a prescribed percentage of the minimum wages applicable in the State. In addition, the Refinery pays Rs.2500/- per month to an apprentice towards stationery, conveyance and miscellaneous expenses etc. wherever applicable. 1. The prescribed qualification should be from a recognized Indian University/Institute as a regular full time B.Sc. Course (Physics, Mathematics, Chemistry/Industrial Chemistry)/ Diploma course (including a sandwich diploma course with industrial training as part of the course; with no break) with minimum 50% marks (45% for SC/ST and PwBD category candidates) in aggregate. For ITI (Fitter), only a pass shall be eligible. 2. Candidates possessing Diploma under recognized lateral entry scheme (Class–XII (Sc. )/ ITI admitted in 2nd year of Diploma course) shall also be considered eligible subject to meeting prescribed percentage of marks on the basis of aggregate of 4 semesters in the diploma course.Regular full time ITI (Fitter) course recognized by NCVT/SCVT shall be considered eligible. 3. Qualification of M.Sc (Chemistry) shall not be considered a disqualification for codes 101 & 103. However, percentage requirement shall be applied on graduation level exam (B.Sc–PCM) only.A candidate with B.Sc. (Physics, Mathematics and Chemistry/Industrial Chemistry) will be allowed to apply for only one Trade/Discipline (either for code 101 or code 103) in a Refinery. In case of receipt of more than one application for more than one Trade/Discipline in a Refinery, all the applications will be rejected. Candidates holding a qualification acquired through part-time/correspondence/ distance education mode are not eligible. 4. Candidates possessing professional qualifications such as BE/B.Tech, MBA, CA, LLB, MCA or any such equivalent qualification shall not be eligible.No Claim of possession of a qualification equivalent to a prescribed qualification shall be entertained.Candidates, who have undergone Apprenticeship Training in the past or have been pursuing Apprenticeship Training under the Apprentices Act are not eligible. 5. In case the date of declaration of result is not mentioned in the Mark sheet, the candidate shall be required to submit a certificate mentioning the date of publication of result from the Principal of the Polytechnic/College from where the candidate pursued his Diploma course, along with his application form. 6. The disciplines/trades notified above involve undertaking training in operations & maintenance activities in plant area. Petroleum Refining is considered as complex and hazardous process and as such Persons with Benchmark Disabilities with a prescribed qualification, may be engaged only against the identified posts/numbers in select disciplines, as indicated above. PwBDs are required to submit a certificate issued by an authority prescribed under Section 2(e) of the Rights of Persons with Disabilities Act 2016 read with Rule 18 of Rules made thereunder, failing which their candidature as PwBD candidate, will not be considered. 7. Candidates are advised to carefully read the full advertisement for details of educational qualification and other eligibility criteria before submission of on-line application. The Apprenticeship agreement shall be registered on-line with respective authorities. Dy. General Manager (HR), HR Department, Bongaigaon Refinery, Post Office – Dhaligaon, District - Chirang, Assam-783385. 1. Indian Oil has Refineries at Guwahati, Digboi, Bongaigaon (all 3 in Assam) Barauni (Bihar), Vadodara (Gujarat), Haldia (West Bengal), Mathura (UP), Panipat (Haryana) and Paradip (Odisha).A candidate can apply for apprenticeship in any one of the Refinery unit of his choice. Option for exercising the choice of a Refinery unit has been provided in the application menu (on-line application portal) which shall open at 1000 hours on 16/10/2018 and close at 17.00 hours on 09/11/2018. 2. Candidates meeting the prescribed eligibility criteria for a seat ,may visit the website www.iocl.com go to ‘What’s New’ > go to Latest Job Openings > go to Engagement of Apprentices under Refineries Division > select the link of the refinery unit i,e. Bongaigaon Refinery. The candidate must have an active email ID and mobile phone number which must remain valid for at least next one year. All future communication with candidate will take place only through website / email / mobile phone. Applications submitted through on-line mode will only be accepted. 3. The candidate should have scanned copy of colour photograph and signature in jpg format (size not exceeding 50 KB) ready before applying on-line. The photo and signature in digital form will be required to be uploaded. 4. After successfully applying / registering on-line applications, the candidates are advised to send the print out of online application form, duly signed by him/her, to the Dy. General Manager (HR), HR Department, Bongaigaon Refinery, Post Office – Dhaligaon, District - Chirang, Assam-783385 along with all supporting documents & a photograph under self attestation, by ordinary post so as to reach us latest by 17.11.2018. Candidates should superscribe the Name of Trade/ Discipline Applied for and Trade/ Discipline Code on the top of the envelope.